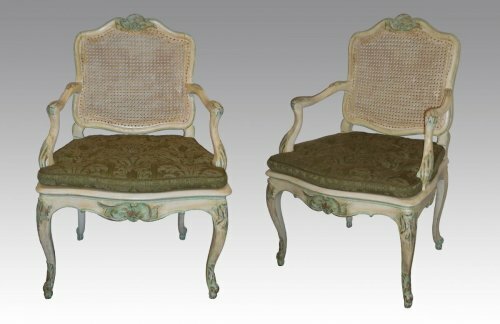 Rare and fine suite of Regence/Louis XV caned violin-shaped, mouldered and carved beechwood 'Mobilier de Salle à Manger', including eight chairs and two armchairs. 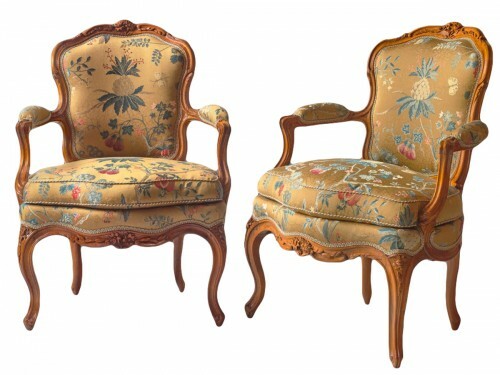 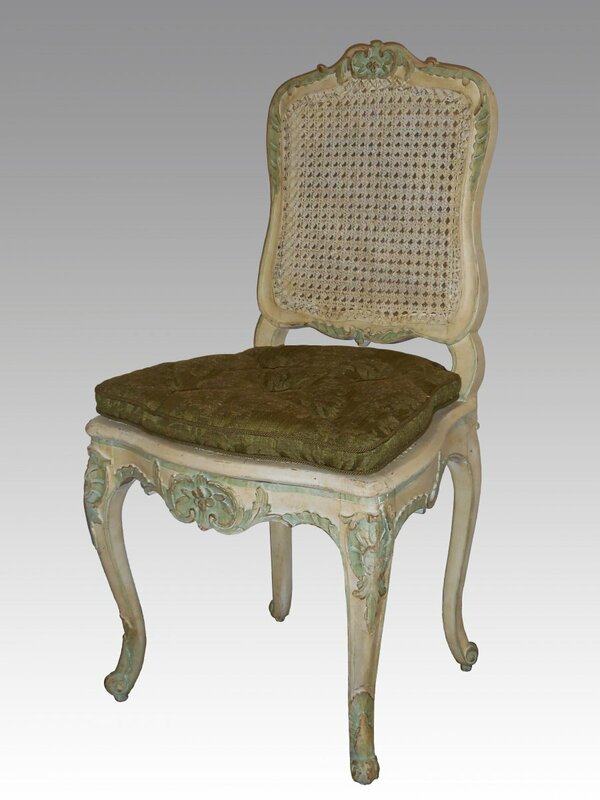 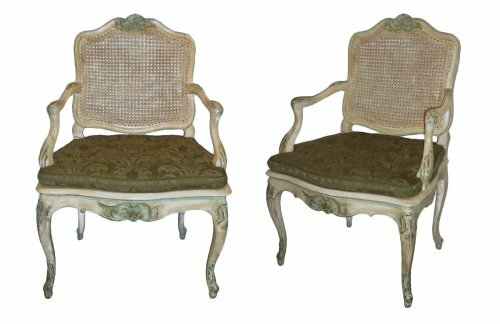 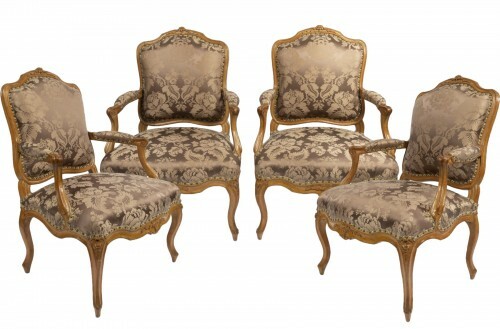 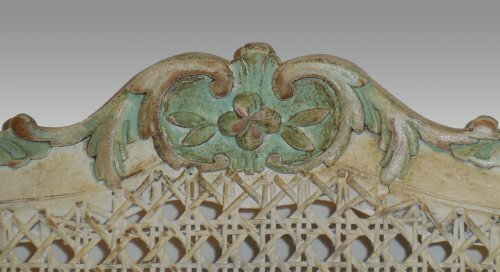 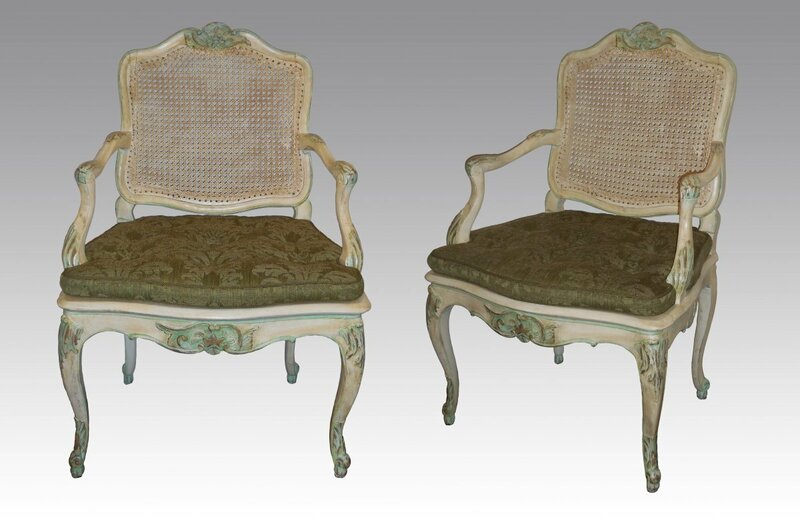 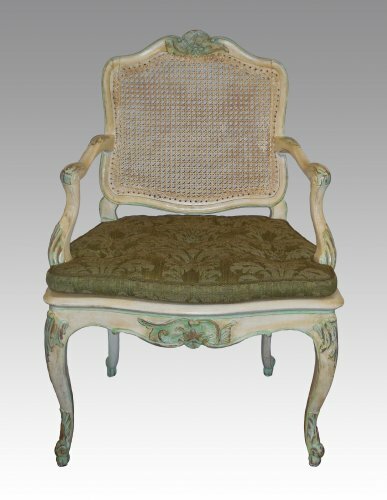 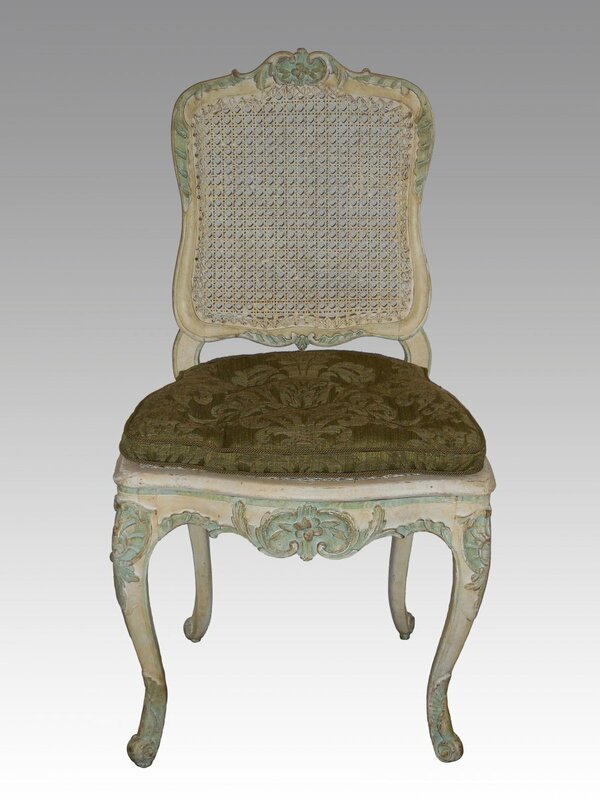 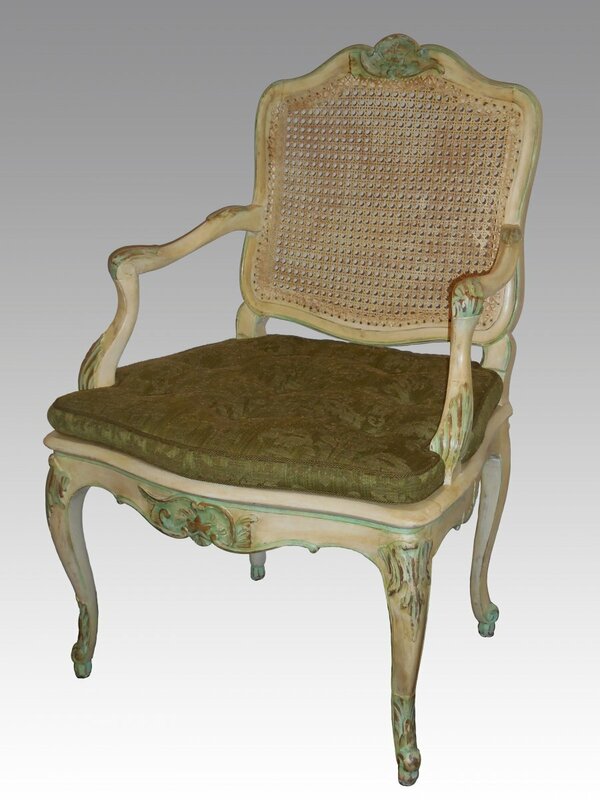 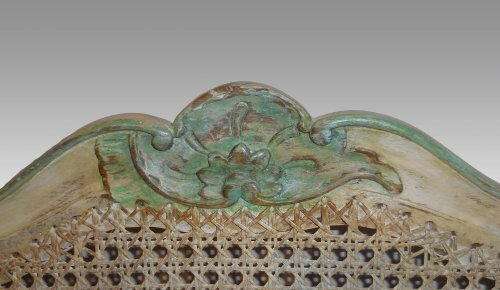 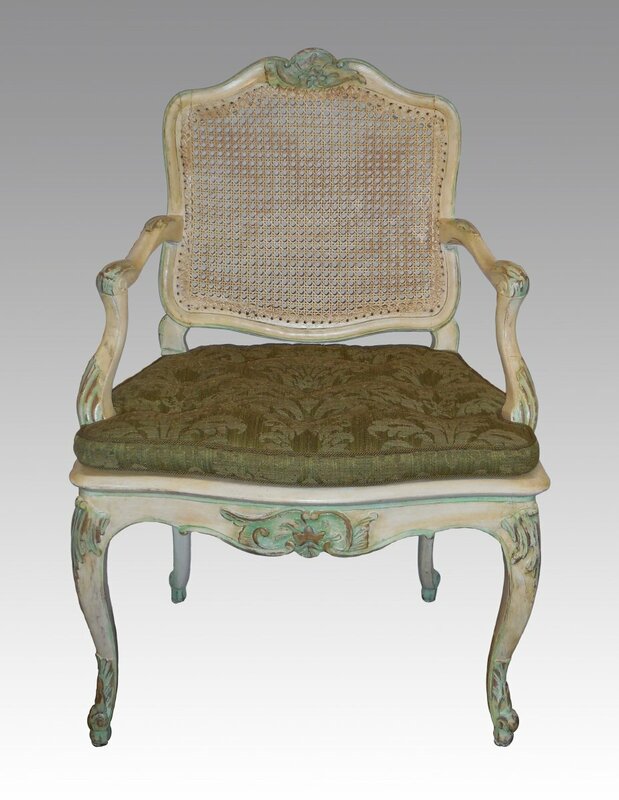 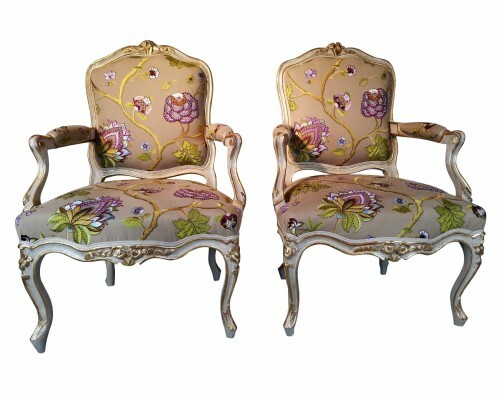 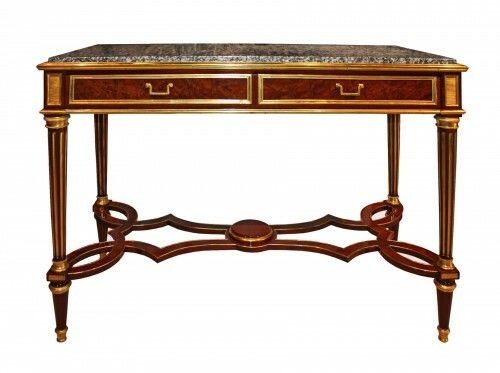 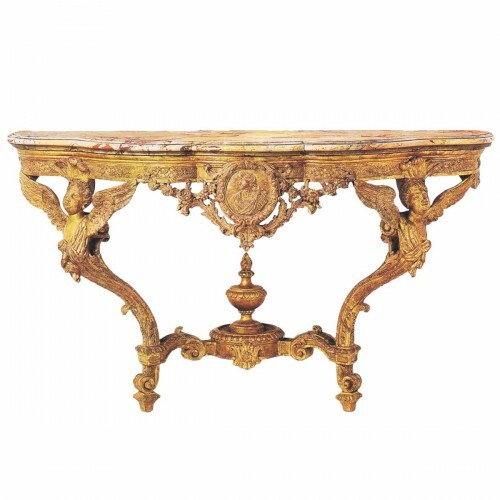 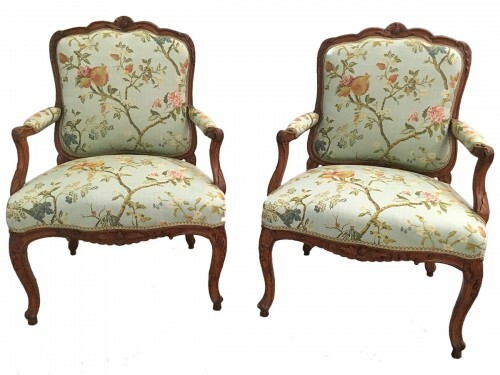 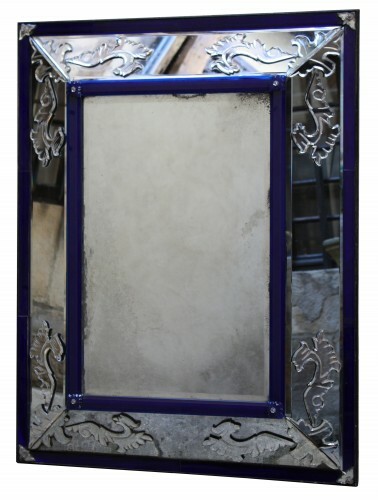 Each with a "à la Reine" back within a molded frame with a rococo ornamentation, such as foliate escutcheons, flowers and scrolls, above a serpentine seat, on four cabriole legs terminating in scrolling feet. 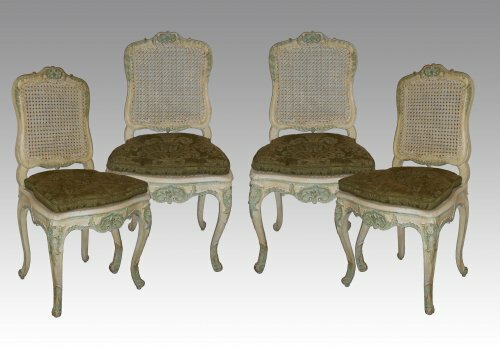 H 31 1/2 x W 18 /34 x D 17 3/4 in. 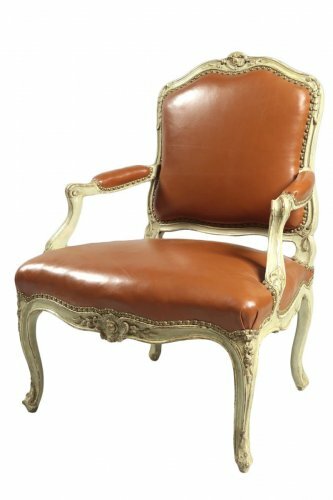 French Louis XV Fauteuil "à dossier plat"